Baize is the traditional surface for cardplay and with good reason: it still has the optimum amount of friction and durability for card games. Green is the traditional colour but baize is made in a range of other strong and vibrant colours too and it’s to celebrate these newer colours that we created our Modern Interiors collection. Lovingly handmade by us in our workshop in Devizes this black baize cloth has a textured black and pewter braid border, which complements the baize colour very nicely and makes a quietly sophisticated gaming cloth. Black baize also makes a great contrast against the white of the playing cards during card games. 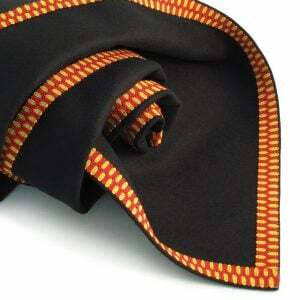 95% wool, this cloth has been made from the very finest British baize. Cloth size approximately 36 inches / 92cm square to fit a standard card table.